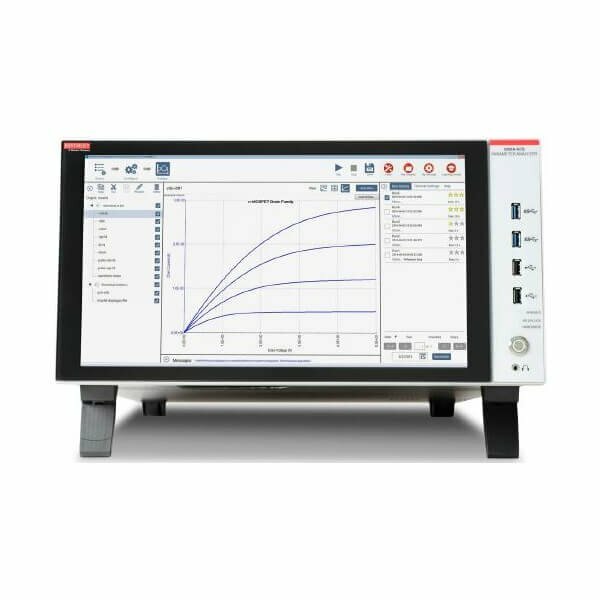 The 4200A-SCS is a modular, customizable, and fully-integrated parameter analyzer that provides synchronized insight into current-voltage (I-V), capacitance-voltage (C-V), and ultra-fast pulsed I-V electrical characterization. Its optional 4200A-CVIV Multi-switch Module enables effortless switching between I-V and C-V measurements without re-cabling or lifting prober needles. The highest performance analyzer, the 4200A-SCS accelerates testing of complex devices for materials research, semiconductor device design, process development, or production. The 4200A Parameter Analyzer is completely customizable and fully upgradable, so you can add the instruments you need now – or later. With the 4200A Parameter Analyzer, making connections to your bold discoveries has never been easier.